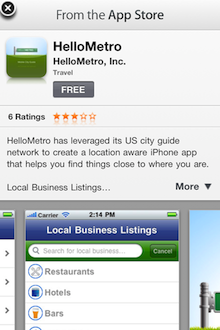 Apple quietly began to roll out its own interactive advertising network at the beginning of July and since then developers have been adapting their App Store offerings to include the new service, aptly named iAd. According to 9to5mac, developers are now able to offer direct app downloads from their advertisements, completely bypassing the App Store and removing the need to open the app. 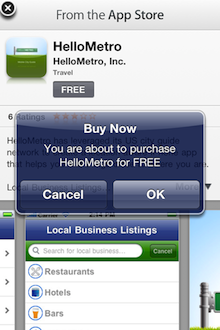 iAds run standalone inside an existing application, allowing the user to pause the whilst they browse the advertisement. 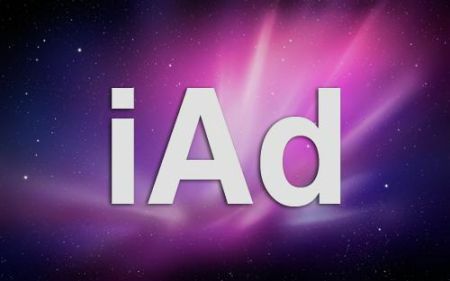 Because advertisements are created in Apple’s iAd JS, developers can combine the power of iOS 4 and its WebKit browser to deliver high-impact and visually stunning ads that can incorporate video, images and animation. Developers will be able to use the credit earned from iAds to promote their apps, which could help Apple sell a lot more of their iAd app positions. Read next: Make your site cement sticky with My Kiosk for iPad.